Piso Fare Promo: Waiting for a new Cebu Pacific Piso Fare promo this time? It feels disappointing but you don't need to actually worry! Because, CebuPacific has just released their promo updates with a validity until April 26, 2017. Some of their select international routes are currently under 50% promo fare! That's close to having a 1Piso fare. But at least, you will just need to pay half of the base fare price! That's already a bargain of plane ticket! You have now the luxury to book your flights and travel outside the Philippines. Just make sure your passport is valid for travel. Double check it! If you're planning to go to Jakarta, Indonesia, you might need to pay Php 1799 for the one way fare coming from Manila. And if you're planning to go to Dubai or Kuwait from some major key cities of the Philippines, you might need around Php 6K for your fare. Again, not all international destinations are covered with the 50% promo of CebuPacific. But if you are just up for local plane travel, some select domestic flights are on promo too! 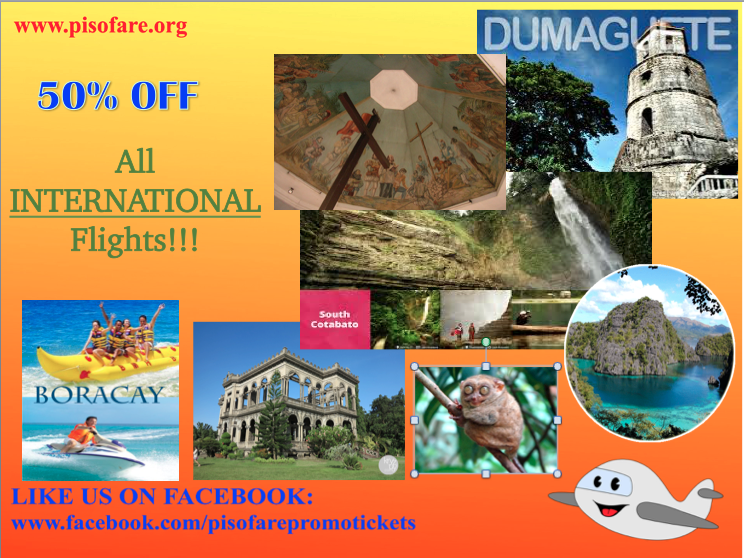 The cheapest fare you can get is Php 799 all-in, one-way fare from Cebu to Dumaguete, Coron, Boracay, Roxas, Iloilo, etc. You may check it below for further details. Stay tuned for the next Cebu Pacific Piso Fare Promo offering here on this blog. If you want to check and book your tickets, pls. click here. with the help of goibibo flights many people in india booking their flight tickets and to serve them better shopozo offers best cashback offers on goibibo flights.